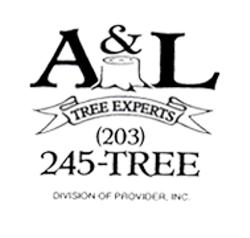 A & L Tree Experts specializes in low impact tree removals. 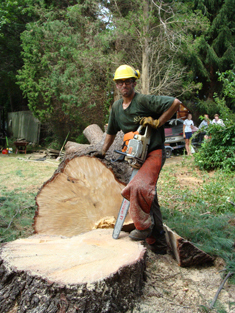 We also do our share of very large or difficult trees. Whether it’s a giant, large diameter Silver Maple or a skinny dead Black Birch in a backyard we will find a way to take it done safely and efficiently. We have two rear mount bucket trucks with a working height of 60 and 62 feet, which we can use to rig and cut down your trees. If the area is not accessible due to landscaping or septic systems we can climb the trees or use a crane. Our climbers are experienced and trained and are always wearing all the safest climbing gear to ensure a safe and efficient tree removal. 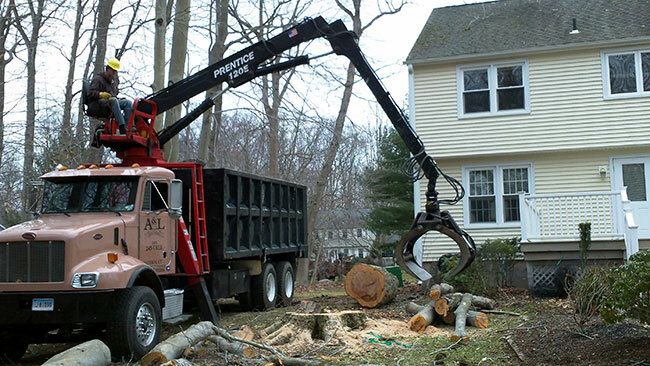 When approaching a job, we always consider all the options that we have used over the 30+ years of doing tree removal and, when necessary, can be innovative and come up with new ideas that have not been thought of.